Joël Ivo Veltman is a Dutch professional footballer who is the captain of Eredivisie club AFC Ajax and the Netherlands national team. Born on 15th January 1992, Joel Veltman can play as a right back and has represented the “Oranjes” in the Under 17, Under 19 and Under 20 level. 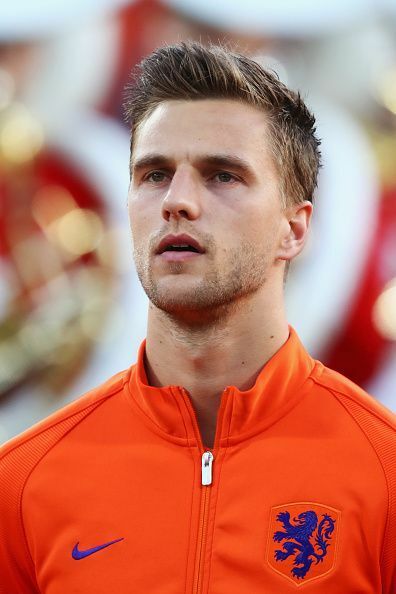 Born at Velsen, Netherlands, Veltman began his football career in the youth team of his hometown club VV IJmuiden. Then in 2001, he moved to Ajax and where he went through the youth ranks of the club. In the 2011-12 season, He helped Ajax A1 youth squad to win the Nike Eredivisie league title and came second to Inter Milan in the NextGen Series as he buffed the penalty in the shootouts. Veltman made Netherlands debut playing for the under-17 squad on 10 February 2009 in the 2009 edition of the La Manga Cup in the 0–4 loss against Czech Republic U17. On 2nd September 2010, He featured in his first Netherlands U19 match in a friendly against Germany which ended in a 2–2 stalemate. On 19th August 2012, He made his official debut for the Ajax first team in an away match encounter against NEC in Nijmegen, entering as a substitute for Mitchell Dijks in the 79th minute in a 1–6 win for Ajax. On 8th November 2013, Veltman earned his first National call when Louis Van Gaal for friendlies. On 19th November, Veltman made his debut for the first team against Colombia after missing out in the match against Japan by playing the whole match in the 0–0 draw. On 5th August 2013, Veltman played in the Dutch Eerste Divisie debut of the newly promoted reserves team Jong Ajax at the start of the season. On 30th September 2013 for Jong Ajax against Volendam, he scored his first professional goal in a 2–3 loss at the Sportpark De Toekomst by scoring in the 7th minute. On 31st May 2014, Veltman was named as a part of the 23-man squad that was heading to the finals in Brazil of the 2014 FIFA World Cup. The Dutch team were brilliant throughout the tournament as they went on to finish in the 3rd place. In 2017, against Sparta Rotterdam, Veltman hurt his reputation as a sportsman when he used his teammate's injury to trick a defender. Veltman is integrated with Ajax since 2001 when he was a part of their youth setup till 2013. He moved from Ajax U17 to Ajax U19 in the summer of 2009 followed by a move to Ajax U21 to seasons later. In July 2012, He was called up to the Ajax first team. It "Velt" like love - Should Arsenal pursue this Ajax starlet?